Binghamton Rumble Ponies outfielder Tim Tebow, a 30-year-old man who has admirably persisted in his dream of playing professional sports for a living, has earned himself a small token of success by being named to the Eastern League All-Star Game. 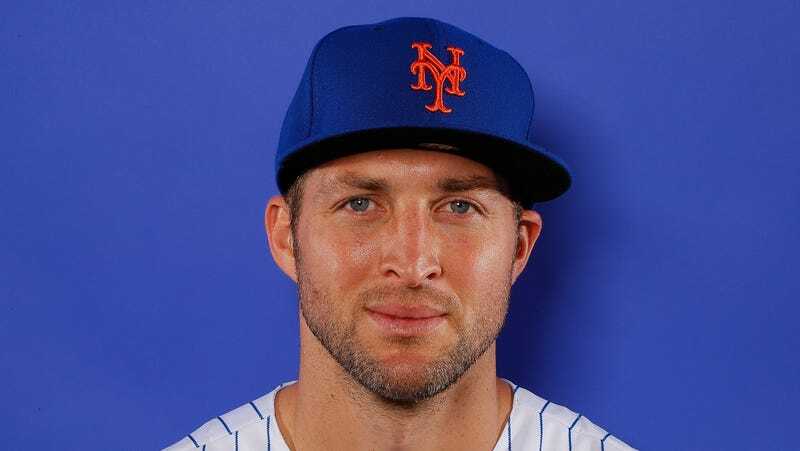 Tebow has only batted .261 all season, but heated up enough in the month of June that his appearance is less of a transparent promotional maneuver than it initially appears. At this point, even his major-league team the Mets don’t have a compelling reason not to call him up by the end of the season. In the Book of Revelation, Jesus is referred to as “the morning star.” In the Eastern League record books, Tim Tebow will forever be an all-star. Sandy Alderson Threatens Unruly Mets Fans: Tim Tebow "Will Play In The Major Leagues"